Laurie Palau presents an insightful approach to organizing with an emphasis on the emotional aspects of clutter along with her practical tips for managing the things in your home. Is your home a hot mess? If the answer is yes you’re going to enjoy today’s guest organizer Laurie Palau of Simply B Organized in Pennsylvania. 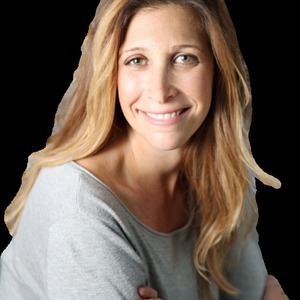 Laurie is a speaker, author, and host of the podcast, This Organized Life, where listeners get a glimpse into her not-so-perfect world as a wife, mom and professional organizer. Her book, HOT MESS: A Practical Guide to Getting Organized is a must-read for anyone looking to streamline clutter from their life. With over nine years of organizing under her belt, Laurie is another industry veteran here to share her unique perspective on getting organized along with road tested practical tips. -How Laurie found her true calling as a home organizer when she identified that organizational principles were part of the solution to feeling anxious and overwhelmed in the home. -Your dominant clutter source and how it impacts your home organization. -Organizing diagnostics: reviewing your current clutter situation. -Learn about the ESP Method: Empty, Sort and Purge. -The Four Purge Piles: Donate, Reuse, Recycle, Discard. -How Laurie defines the cost of clutter. "Most people if given the choice would rather live in an organized space." “The average US citizen wastes an hour a day looking for lost or misplaced items." Open the mail every day and make a decision. Laurie covets her quiet time in the morning! Start small. Just wanting to make a change is a huge hurdle that you’ve already accomplished.